2. When speaking any Thai words, tone of voice is everything – it can change a word from meaning dog to horse! 8. When it rains, it really, really, really rains. The world is not ending. 10. 6pm is National Anthem o’clock, played particularly at all train stations and in some parks; stand up and shut up when you hear it, whatever you’re doing! This entry was posted in Thailand, Top 10 and tagged bangkok, bread, monsoon, motorcycle, national anthem, rain, taxis, thai new year, toothpaste, travel blog, two one way flights, women by Two One-Way Flights. Bookmark the permalink. 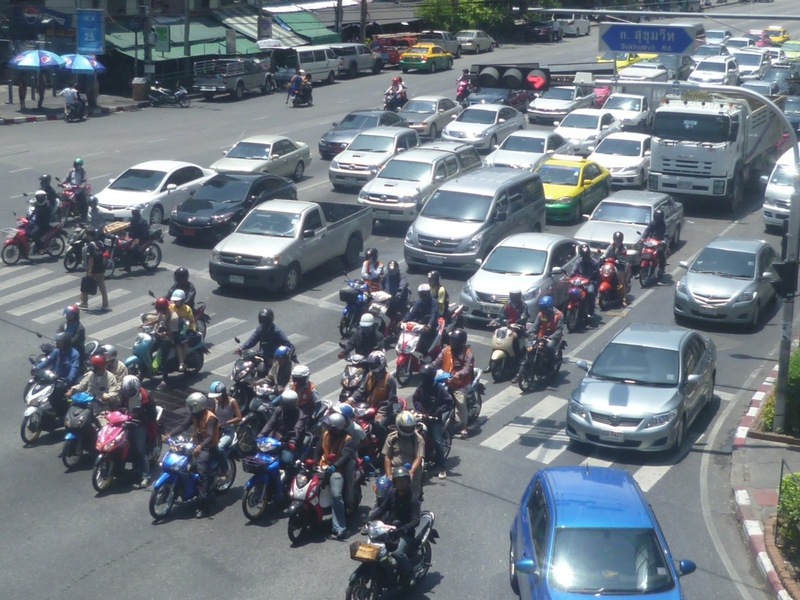 reminds me of my recent trip to Thailand – especially the photo of the traffic congestion! Thanks, this picture doesn’t even show the traffic to the full extent, it’s quite a sight! Good points 😀 Somehow missed witnessing that scene in the train stations. Hi Nina, thank you! Such an amazing city, there’s loads to write about 🙂 Thanks for your recent post on Khao Yai National Park, it’s made me want to visit! Keep up the good work! The first toothpaste I picked up in Bangkok was a herb variant, that’s one taste I will never forget!! 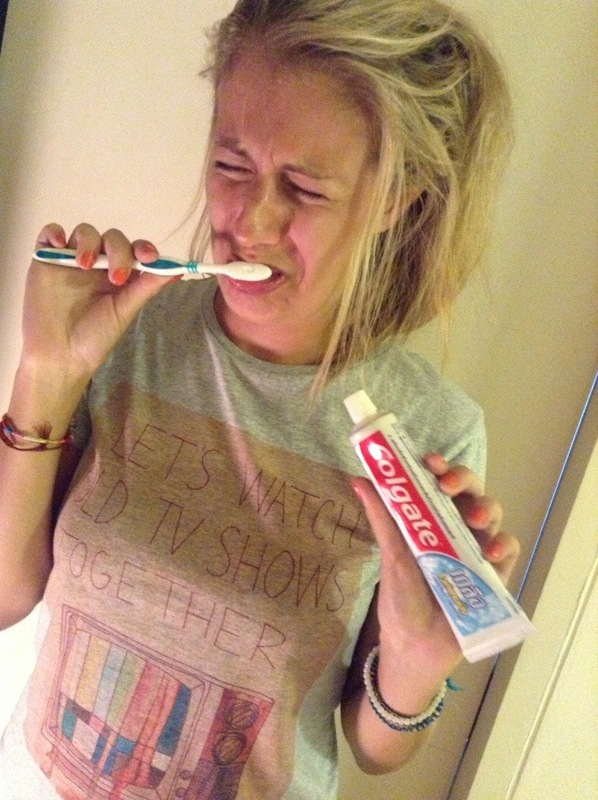 We get so stumped shopping for toothpaste, why so many obscure flavours?! Yes. The Thai people pay honor to the king in so many ways. We heard the anthem at a temple in the morning I think it happens twice a day. I am jealous of your travels. Reading your blog and seeing photos makes me miss Thailand and Myanmar. Haha, i feel you on the rain comment! It rained once while we were there, and I thought there was some serious apocalypse now business going on. Wish I’d seen these posts before I went on my trip!